I am working on my new design series called Chairs 101. I am crazy about chairs, my obsession started in design school and was awarded at my graduation when my husband gave me my first designer chair, the Eames LCW. Since then I have added a few others and will be excited to show off my collection as well as other important chairs during this series! Why do I love designer chairs? There are several reasons, one is that out of all the many ways that a person can collect important pieces in design, whether it be a work of art or a whole house, one little chair is by far one of the most affordable and obtainable. A splurge on a single chair doesn’t require much space or special installation to make a whole room feel styled and complete. The other reasons for my love are deeper in design theory thoughts. 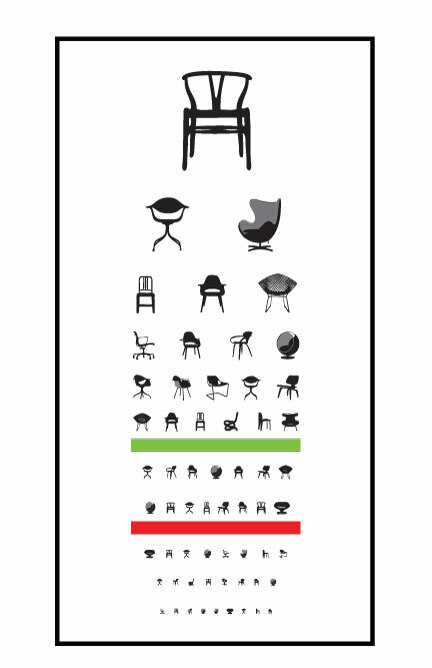 The evolution of chair design has always paralleled the development of architectural styles and eras. During the last century chair designs have had a lasting impact on furniture design because of their innovative materials and the advance in construction technologies. A multitude of chairs have been designed simply because of the fact that there is no idea form for a chair and that there can be many solutions to perform its function. 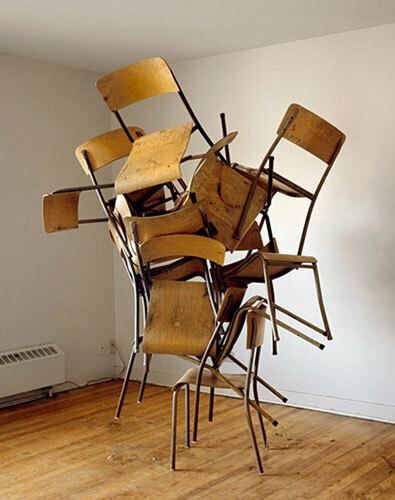 When I study a chair I see so much: a sculpture, a voice, a time period. The mood it can create and its purpose in social society are all part of the package, wrapped up on four little legs and using only 2 square feet of floor space! It’s a compact design that makes a serious impact in the design world. A chair can be a beautiful work of art that is well designed, studied, and written about. It can become a celebrated icon. Some of the most iconic chairs have emotional persuasion that speak as loudly as well noted architecture and are often designed by architectural masterminds. I run across designer chairs in department store displays, hotels, restaurants, advertisements and magazine spreads. When I find one in person I take my picture in it ( I told you I was obsessed)! There are many products that feature designer chairs like pillows, posters, coasters and miniatures, they are an easy way to bring a piece of a icon into your home or office. I dont collect the miniatures myself, I’d rather save up for the full size chair and I also have no problem obtaining just one of each, who says that you have to have a matching set? 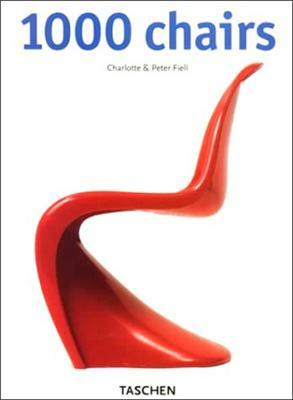 One of my required books in design school was the bible of chairs: 1000 Chairs by Charlotte and Peter Feill. I will be referring to it myself while writing my posts to get my facts straight. (Dont worry, Im not going to talk about all 1000!) I will be writing about not just the history and importance of the chairs but showing you some of the places designer chairs are used and some of the products that celebrate their form. In my series I intend to share the worlds most influential and celebrated chairs with you. If you aren’t a design-ish person, you will be surprised at how many chairs you can recognize but have never known the story behind. In the tradition of a blog series I will be making these posts on Fridays so check them out as you wind down for the weekend.